The semi-hard Sharpham Rustic cheese is, unsurprisingly, made by the same cheese maker as the Sharpham original in South Devon. Just as with the Sharpham Brie, the rustic is made on-site by Sharpham House, downstream from the Castle and Church of Totnes, in South Devon. The cheese is still fully hand produced, using traditional methods, unpasteurised Jersey cow’s milk and vegetarian rennet and is guaranteed GM free. The Sharpham Rustic is drained for forty eight hours after being shaped into it’s unique basket mould. The cheese is then tenderly dry salted by hand, hand rubbed as the cheese matures, to ensure the rind stays thin, and turned weekly, during it’s four to eight week maturation period. It’s another award winner having won in 2013 Gold at the Global Cheese Awards, and Silver at both the Taste of the West and the British Cheese Awards. 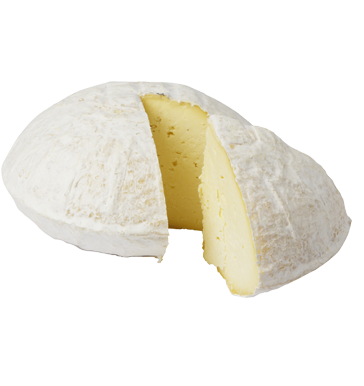 The Sharpham Rustic differs quite drastically from it’s Sharpham Brie kindred, having a far lighter and more delicate flavour. The brie is thought to have quite a bitter finish whereas the Rustic has a fresher, lemony, creamy finish, especially when young. As the cheese matures it takes on a distinctive nutty matured taste, but maintains it’s naturally moist texture. Sharpham Rustic works fantastically as part of a leafy ploughmans lunch, or as part of a varied cheeseboard with some nice green chutneys to accompany. The rustic also works brilliantly with a full bodied red wine or a fruity, yet dry Devonshire cider. If you like this one, or the Sharpham Brie, it might also be worth trying the Sharpham Rustic Garlic and Chive variation too. Generally speaking the longest this cheese should be kept after dispatch is a month for larger cheeses and smaller cheeses between only two or three weeks.